Last month I wrote about using the months from November to January for working on improving skills, and increasing the number of tools in the toolbox. If you have been training and racing for a number of years, these improvements are going to take persistence, and will be smaller initially. The net sum of many small improvements returns significant gains resulting in racing breakthroughs. Skill acquisition also creates opportunity to change your ideas about how your move and your ideas about what you are good at. There is some truth to the adage “what you believe, you will achieve”. Use the winter to reformat “what you believe”, and to create a stronger mind/body connection. A good starting place is to learn about the role of the mind in sport. One of my favorite reads in sports psychology is “The Pursuit of Excellence” by Terry Orlick. A mental coach of many Olympians in a variety of sports, Orlick elaborates on the difference the brain can make when approaching workouts and races. Shift away from just strengthening your engine and find ways to make yourself a more complete athlete. Review your past season and come up with realistic process goals, rather than just place or time goals for races. To become a better runner off the bike doesn’t simply mean including more bricks. Figure out what you need to overcome and create a positive self-image as someone who has a high level of mastery at this skill. Spend time re-teaching the mind to process what your body is actually doing or how you are moving. One of the best ways for many athletes to really “see” movement is with video feedback. This can be as simple as having a friend record some swimming on a cell phone or tablet from the pool deck. When I am coaching a workout I will often provide verbal feedback to my athletes, complete with visual demonstrations of how a movement is performed or how to get the most out of it. Invariably the athlete will respond with “that’s what I am doing”. This is especially true with swimming, where what the athlete perceives what they are doing is often quite different from what they are actually doing. Going one better is to obtain underwater footage. Using readily available Apps, a coach will be able to slow your swim stroke down on playback and highlight any corrections that need to be made. Being able to see your body position, rotation, and various phases and timing of catch and recovery will open your eyes to all the little things that can be improved. New movements feel awkward, but you can rewire your mind-body connection, training the brain to process the awkward movements as efficient. Do this by slowing movements down. Through repetition they can become innate and automated. To reinforce new movement, create mental “cues”. Cues are a word or phrase which act as a quick mental reminder for a technically efficient movement. The goal for race season is to compete at a high level of effort while maintaining technical efficiency. In the winter, as you are refining skills, create words that help you elicit a body feeling of efficiency, relaxation or dynamic movement. As the skills become automated, do them at higher physical effort and keep drawing on these cues to keep you in touch with proper body mechanics. Bike: “Smooth Circles”, Quick Knees”, “Fluid Power”, “Flow Downhill”. Many limitations are perceived. Decide to overcome a personal barrier to success. For example, at races I will invariably hear that someone didn’t finish because of a flat tire. If you are not comfortable changing a flat or disassembling your bike to box for travel, the winter months are an ideal time to enroll in a bicycle maintenance course at your local bike shop. Take the time to learn all the parts of the bike and how everything works. Basic courses will include how to adjust brakes and fine tune your shifters and derailleurs. Even though aero wheels that use clincher tires are becoming faster and easier to find, tubular tires are still very popular. 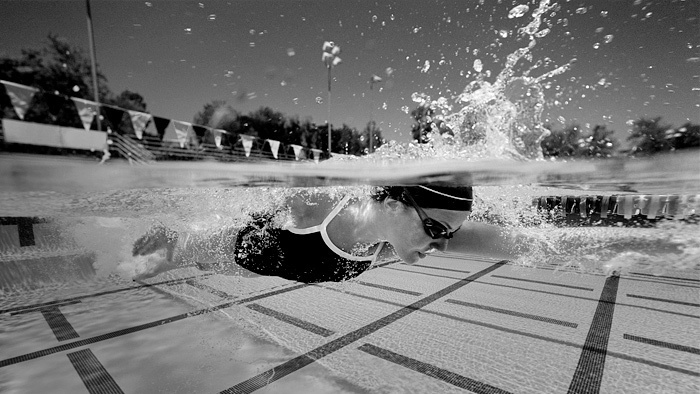 Many athletes shy away from attempting to change or repair a tubular. Use this slow time to learn how simple the process really is. If you can’t find someone local to show you how to replace a sew-up there are plenty of videos on the web that break it down. The take home lesson is do some research, get instruction, and overcome a knowledge deficiency. Anyone can learn technical skills. Physical limitations can be driven by self-perception. These can be overcome as well. Examine your idea about who you are and where you feel you are less than great. Statements like, “I am not a good hill runner” or “I hate the heat”. “I panic in pack swims”. These things can become self-fulfilling prophecies. Set on a journey of tackling your personal challenges in stages. If you are a nervous bike descender, pick a reasonably technical descent and do it within your comfort level. Each week try and be a little smoother and pick a better line. Take it in steps. Instead of, “I am not good at this”, gravitate towards goal setting and a manageable progression. Would you teach a kid to swim by throwing them in the pool? Or would you teach them to float, breath, kick, and pull and making it fun for them? We sometimes forget to be reasonable in expectation and somewhat compassionate with ourselves. A preconception of limitations and verbalizing it in a negative context only reinforces self-doubt and puts a ceiling on your true potential. Winter is a great time to skill build, both physically and mentally. The two are deeply interconnected. Create technical learning experiences to be combined with mental cues to reinforce new movement. Identify limitations and research opportunities to overcome these, while building self-esteem along the way. By looking for opportunity rather than accepting weakness, you will strengthen the mind-body connection and ultimately learn to perform at a higher level. Thank you to LifeSport SeniorCoach Dan Smith for his contribution to this article.